I’m Ariel Kaye, the founder and CEO of Parachute. I grew up in Los Angeles but spent ten years in New York before returning to my hometown to launch my business. I currently live in Venice with my husband and our newborn daughter. I’m constantly inspired by my Venice Beach surroundings: the casual beauty and natural colors of the beach landscape, the wellness-focused lifestyle, the small town community vibe and culture. This inspiration is reflected in not only Parachute’s aesthetic, but in my approach to work and life as well. Parachute is a modern lifestyle brand. Born in Venice Beach, our products are designed in Los Angeles and responsibly manufactured by the world's best artisans. 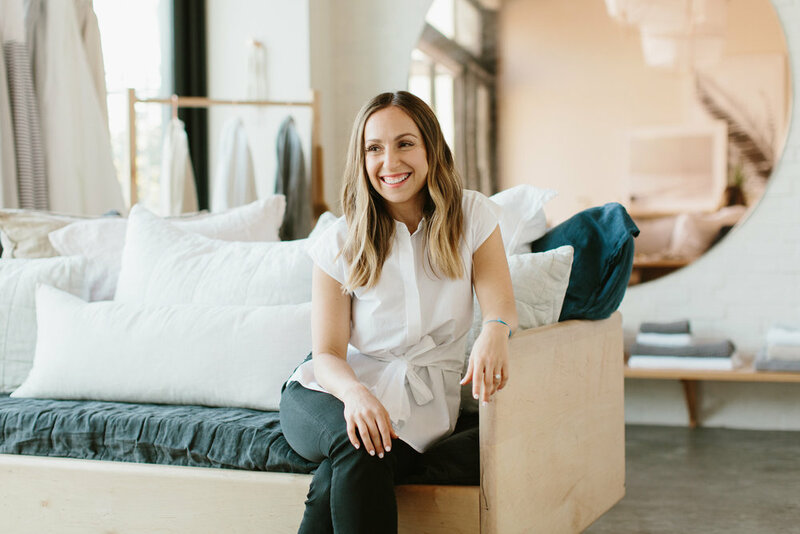 I launched the business in 2014 as an online-only, direct-to-consumer business focused on creating impeccable bedding. 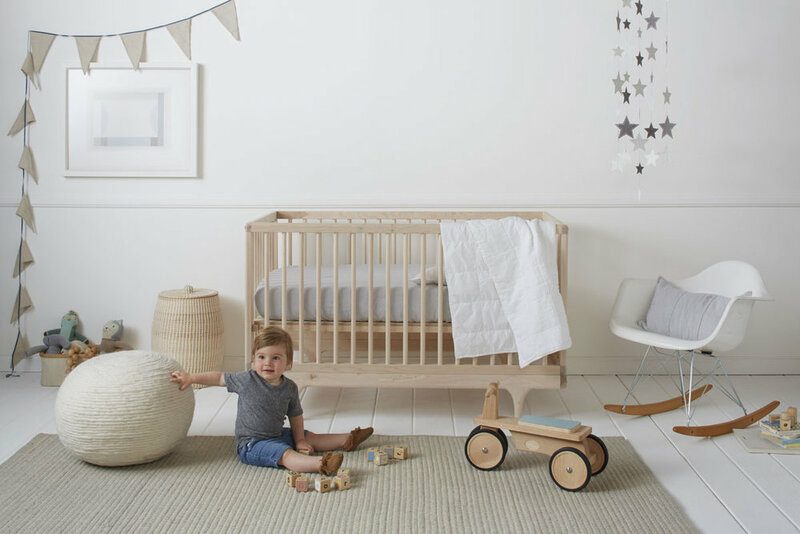 We’ve since expanded into many areas of the home, including bath, tabletop, nursery, gifts and decor. 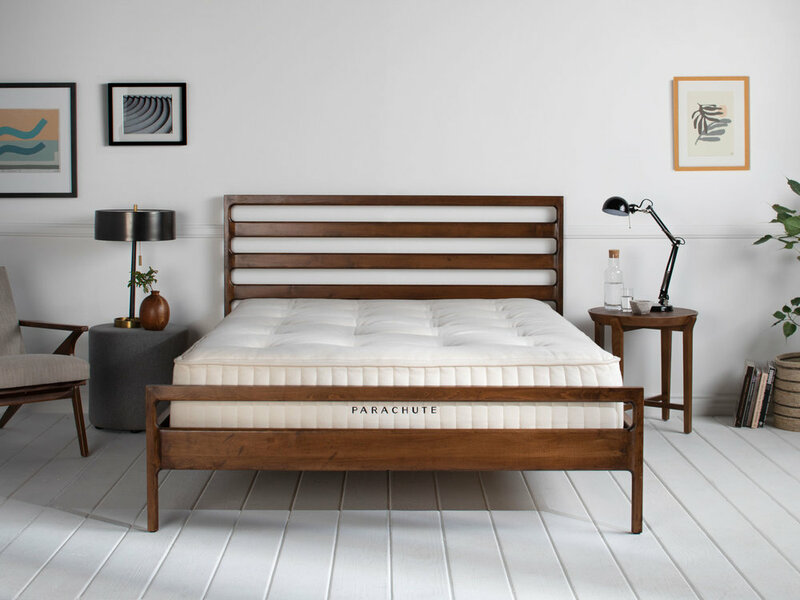 We also recently launched the Parachute Mattress, and our first collection of area rugs. We’ve created a loyal community dedicated to comfort, both online and off. One of the ways we connect with our community is through our brick-and-mortar stores. In 2016 we opened our first retail location in Venice, California. We now have six stores around the country (Venice Beach, Silver Lake (L.A.), New York City, Portland, OR., San Francisco, and Dallas, TX. ), with many more to come. Our stores are designed to feel more like gathering spaces, providing a welcoming environment for customers to find inspiration, touch and explore our products first-hand, and enjoy special events that foster a feeling of community, right in their neighborhoods. I spent a decade working in advertising and brand development in New York. I was also a huge design enthusiast – I had an interior design blog, and I frequently helped my friends and family decorate their homes. I was a super consumer of home goods, and when it came to bedding, I couldn’t find a single brand that was high quality, affordable or easy to buy. I also realized that no one had an association with brands when they bought their sheets. As someone who built brands in advertising, I recognized a true business opportunity – there was a serious void in the market. This is when I had my “aha” moment. We put our customers first and prioritize premium quality, thoughtful design and optionality. We sleep better knowing that we offer our customers exceptional products and an exceptional sales experience. Our home essentials are made by the world’s best. We travel the globe to locate the expert craftspeople, delivering a premium quality product that upholds the high standards and heritage of that region. We believe that design makes the difference. 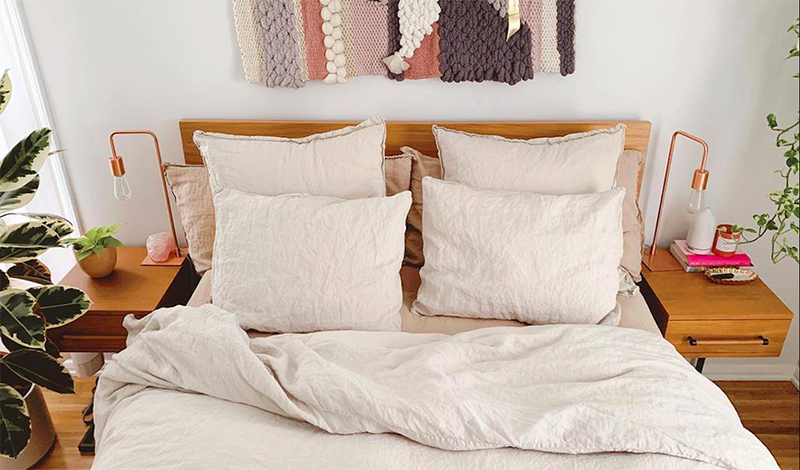 We take a modern approach to classic home goods, offering a neutral color palette that easily mixes and matches. We offer options – such as bundles and a la carte shopping which allow our customers to create their own timeless looks for the home. I live in my Parachute Waffle Robe. It’s the perfect weight for after the shower or while I get ready around the house. We travel the globe to locate the best factories to manufacture our goods. 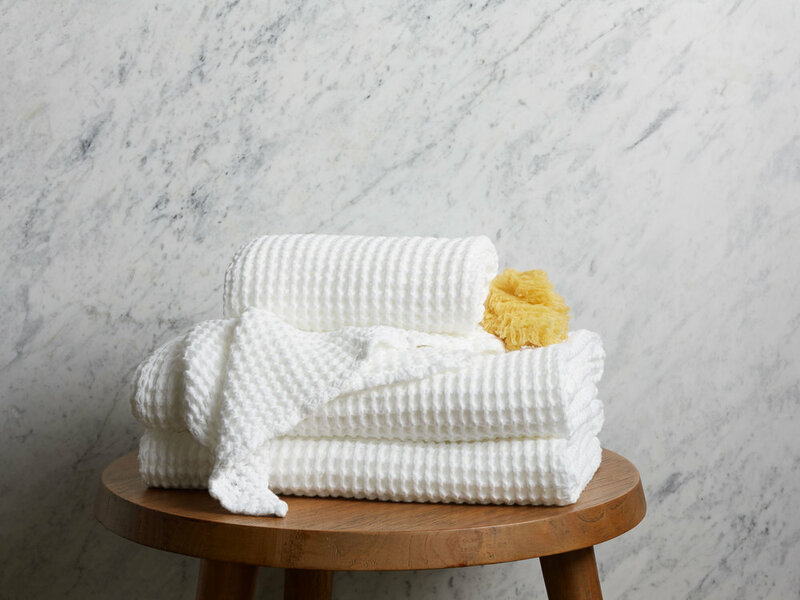 By collaborating with true artisans who have been weaving linens for generations, we’re able to deliver a premium quality product that upholds the high standards and heritage of that region. Our partners’ passion for textiles is demonstrated through their attention to detail. Our bedding is made of the finest, long-staple Egyptian cotton and from premium quality Linen for an unforgettable sleep experience. Our products are Oeko-Tex certified meaning they surpass the highest criterion of testing for harmful chemicals and synthetics. Unlike other brands, we do not artificially soften our home essentials with silicon, formaldehyde or toxic chemicals. By choosing Parachute, you’re experiencing the fabric in its purest and most natural form. Social responsibility has also been integral to Parachute’s business model from the start. We partner with the United Nations Foundation’s Nothing But Nets, an organization providing safe sleep to those in need. Nothing But Nets is a global, grassroots campaign created by the United Nations Foundation to prevent malaria, a leading killer of children in sub-Saharan Africa. For every Venice Bedding Set sold, we donate one life-saving malaria prevention bed net through this campaign. You can also join our efforts to raise awareness and make an impact by contributing a $10 donation to Nothing But Nets at checkout.